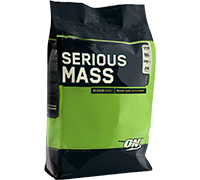 Directions: Add two heaping scoops of Serious Mass to a blender filled with 24 oz of water. Blend for 45-60 seconds. Then add a few ice cubes and, if desired, other calorie-contributing ingredients and blend for an additional 30-45 seconds.